An IRS Special Agent, also called a Criminal Investigation Special Agent, is responsible for enforcing the Tax Code, money laundering laws and other laws relating to financial matters. It’s an excellent job for someone with outstanding analytical ability who wants to combine accounting skills with law enforcement skills. Although having computer skills is vital, this is not an ordinary desk job. 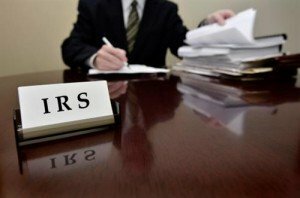 IRS Special Agents must carry a firearm and know how to use it. You must be no older than 36 years old at the time you are certified for employment (unless you are a preference eligible veteran or have worked in federal law enforcement). You must have completed the required education and/or work experience. You may apply for one of three different grade levels: Grade 5, Grade 7, and Grade 9. The specific education and experience you will need depends on which level you are applying for. Have a comparable combination of education and experience. Grade 7 requires one year of Graduate education, or outstanding grades in Undergraduate coursework, or work experience involving accounting-related crimes, or a combination of education and experience. Grade 9 requires two years of Graduate education, or an MA degree, or an LLB or JD, or higher-level investigative experience, or a combination of the two. If you have the required education and/or work experience, and you meet the basic qualifications, then you can start the application process. 1. Check the USAJOBS website for an announcement of job openings. 2. Prepare a resume and submit it with your initial application. 3. Complete and submit the online occupational questionnaire. At this point, depending on how your questionnaire was rated, you may be invited to continue with the next steps in the application process. 4. Complete two online job assessments. The first involves watching a video and answering questions. The second is a job-simulation exercise, where you will be evaluated on your problem- solving, teamwork, and decision-making skills. Applicants who do well on the job assessments will continue to the next step. 6. Applicants who make it this far will undergo a final round of assessment at an IRS field office. Applicants will complete two writing exercises and a structured panel interview. An IRS Agent occupies a unique role in law enforcement. In order to thrive in this position, you must have both advanced financial-analysis skills and the desire to combat crime. You will be given the best training available to fully develop your skills. New Agents attend a nine-week training program at the Federal Law Enforcement Training Center in Georgia. Those who choose to become Computer Investigative Specialists will receive additional extensive training in specialized subjects relating to data recovery and analysis.